Delays scupper Coast Guard chopper deal with Airbus? 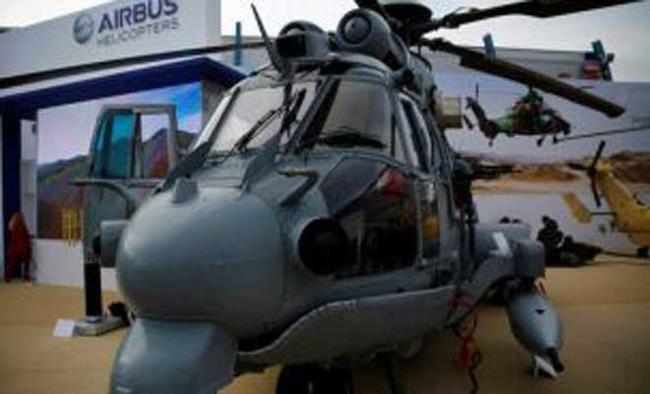 New Delhi: Underlining yet again India's dysfunctional defence acquisition process, a deal to acquire advanced medium lift helicopters for the Coast Guard has run into trouble over delays as the commercial bid by Airbus has lapsed, with the company showing little interest in reviving it. The deal to buy Airbus' twin-engine EC725 helicopters, estimated to cost Rs 2,000 crore, was to be finalised during French President Emmanuel Macron's upcoming India visit in March. An Airbus spokesperson told IANS that the commercial bid, valid till February 15, has not been extended. Airbus, however, refused to give any further details or the reasons behind the decision. According to sources, however, the deal has become financially untenable for the European aircraft manufacturer because of the changed economic environment in Europe caused by higher inflation and interest rates. In the aftermath of Mumbai terror attacks of 2008, the Coast Guard, which has aging Chetak helicopters -- and now also has Advanced Light Helicopter Dhruv -- in its inventory, had asked for advanced choppers to be able to step up its maritime surveillance. While the Defence Ministry first began its conversation with Airbus almost six years back, the commercial bid for 14 of these medium lift helicopters was made in 2015, and Airbus had emerged as the lowest bidder. The deal also involved offsets worth Rs 600 crore, and a maintenance, repair and overhaul (MRO) facility was to be set up in Goa. The calling off of the deal is likely to be a major setback for the Coast Guard. "Chetak helicopters have a limited range, and are dangerous to operate in bad weather. There is also an order for more Dhruv helicopters in place, but the requirement of a medium lift helicopter remains," a Coast Guard official told on condition of anonymity. News of the likely stalling of the deal comes just days after it emerged that Minister of State for Defence Subhash Bhamre had, in a presentation to Prime Minister Narendra Modi late last year, flayed the delays in defence procurement. The presentation noted that out of 144 schemes contracted during the last three financial years -- since the National Democratic Alliance government came to power -- only 8-10 per cent were concluded within the stipulated time period. The average time taken by these 133 schemes was 52 months -- more than twice the laid-down time-frame. Also called the Super Cougar, the EC725 is a twin-engined aircraft and can carry up to 29 seated troops and two crew, can achieve speeds of up to 324 km per hour, and has a range of 857 kilometers, with a ferry range of over 1,000 km. It is also capable of mid-air refueling, giving it more airborne time. Airbus is a European multinational corporation that designs, manufactures, and sells civil and military aeronautical products, with its headquarters in Toulouse, France.